For many of us, the New Year is a time for resolutions – promises we make to ourselves to be healthier and happier. Our resolutions usually involve making more time for exercise, finally cleaning out that messy closet, or scheduling more time with friends and family. What we often forget is that the health of our mouth, plays a big role in our overall wellness, and should occupy a spot on our list of New Year’s resolutions, too. 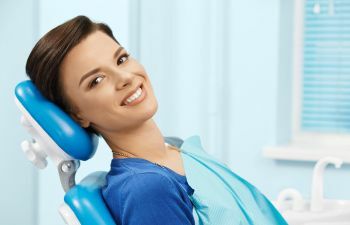 Schedule regular dental visits. Regular dental check-ups and teeth cleanings with your dentist help keep your smile bright and prevent tooth and gum diseases. They’re also an important tool in the early detection of infections, dental problems, even oral cancer. Make it appoint to schedule two this year – that’s one every six months. Brush and floss daily. Brushing and flossing daily between dental visits helps to fend off plaque and gingivitis, and keeps teeth sparkling. Research has also found that brushing and flossing can even help fend off chronic conditions such as heart disease and dementia. Ditch the sugar. If you make one dietary change this year, opt to rid your cabinets of refined sugar and sweets. Aside from being bad for your health, sugar is also one of the biggest culprits of tooth decay and gum disease. Sugar also depresses your immune system, leaving you more susceptible to oral infections. Happy New Year from Mansouri Family Dental Care and Associates!